Glass reveals the interconnectedness of what we consume, both mentally and nutritionally, emphasizing that cleansing of the body alone will offer only a temporary solution if we do not also apply the same cleansing principles to our thoughts and actions. He provides delicious plant-based smoothie and meal recipes, step-by-step instructions to resolve blockages and stagnation in the physical or emotional body, including tips on liver health and healthy elimination, guidance on how to cleanse the proliferation of toxic thought patterns in the mind, as well as outlining a supportive Karma/Forgiveness cleanse ritual to detoxify the spirit. He explains how the soul is encased in five coverings, known as Koshas, and details how to harmonize all five Koshas through a plant-based diet, exercise, yoga, breathing techniques, and meditation/introspective practices. 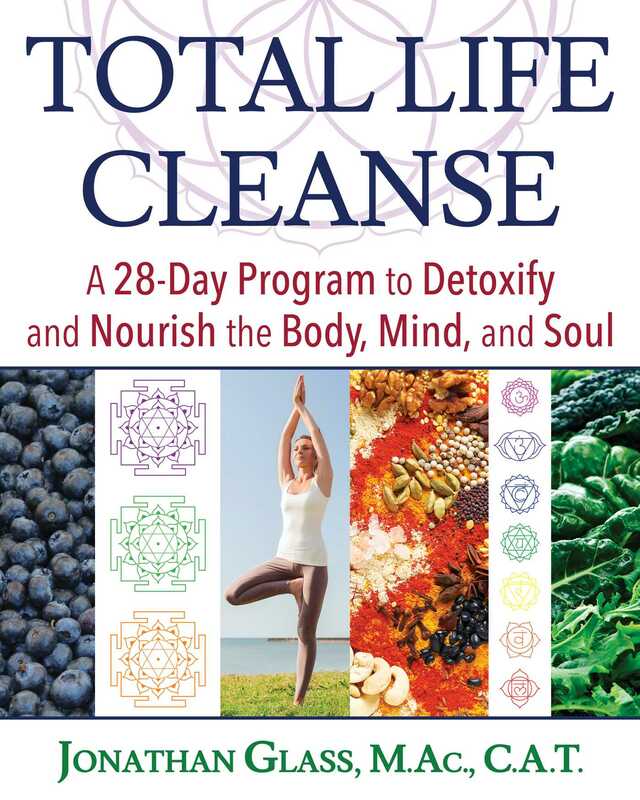 Cleansing is the art and process of making health-enhancing dietary and lifestyle changes. These changes aid in effectively managing stress, eliminating toxins, improving nutritional intake, and cultivating a deeper connection with our innate wisdom. When we are young, our organs of detoxification generally function with ease. According to Chinese medicine (and my experience concurs) long held or repeated negative emotions also adversely impact the organs they correspond with. Healing and managing mental/emotional stress is essential for good health. As we get older, dehydration, scar tissue, stiffness, stress, and toxins burden our organs. We can experience low-grade symptoms of dis-ease and may become increasingly ill. Eventually, many forget what quality life feels like. Quite often, poor diet and lifestyle end up decreasing one’s duration of life. The Cleanse is based on the principles of Ayurveda and Chinese medicine. It is informed by natural hygiene principles, pH balancing concepts, naturopathy, and whole food plant-based science. They are synthesized together based on the intentions and objectives of the TLC. – Ken Manning, Ph.D., coauthor of Invisible Power and president of Insight Principles, Inc.